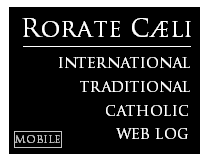 RORATE CÆLI: Fontgombault Sermon - Sts Peter and Paul: "The Successor of Peter must be obedient to the word of God"
Fontgombault Sermon - Sts Peter and Paul: "The Successor of Peter must be obedient to the word of God"
Vos autem, quem me esse dicitis? The Church has honoured the Saints whom we celebrate today with the name of “pillars”. St. Peter and St. Paul are the pillars of the Church. Why does Peter alone speak? Why do the other disciples keep silent? Are they torn between what people think, and the truth that, they know it, comes from God? The answer of people is credible, whereas Peter’s answer, whereas the Word of God is foolish. Jesus then addresses Peter and praises him: “Blessed art thou, Simon Bar-Jona: because flesh and blood hath not revealed it to thee, but My Father who is in Heaven.” (v. 17) Peter is praised because the Father has deigned to enlighten him, and because he has heard this Word and made it his own. The world wants to build up a belief according to its own lights and standards. Peter merely makes himself the echo of what has been revealed to him by the Father. Such is the service of truth that the Apostles carried out in the infant Church and for the world. What was at stake for them was not indeed to falsify God’s truth so as to make it acceptable to men, but to open up the minds of men to the mystery of God. Christ has thus built His Church on a rock, Peter’s faith, and He has solemnly asserted that the gates of Hades, that is to say the powers of evil and death, would not prevail against her. Such is the service that the successor of Peter, the bishop of Rome, still carries out. 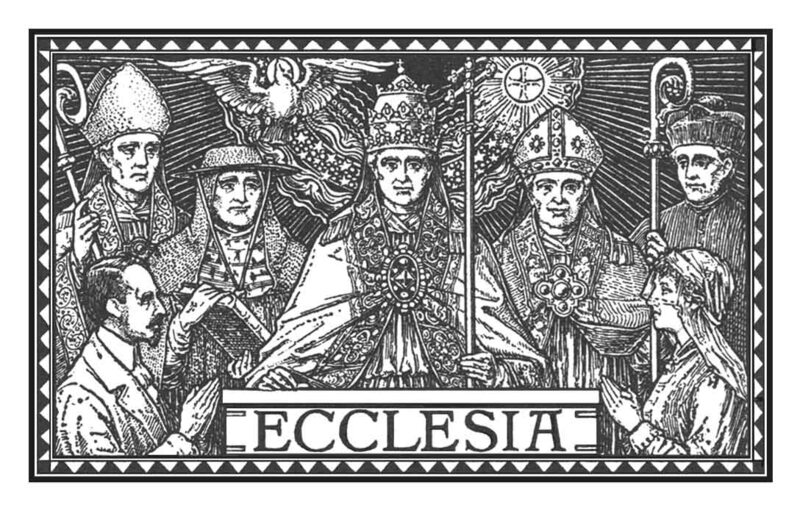 It is a service to which all the bishops in the world contribute, insofar as they are in communion with the Apostolic See. 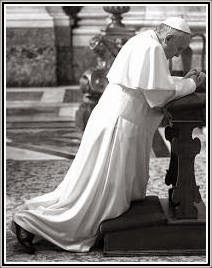 If the world today still speaks its native language and leads reason astray in the maze of opinions, this should not apply to the successor of Peter and the bishops, who must be obedient to the word of God Who teaches them, so that they may legitimately speak in God’s name. The lesson that Jesus gives the Apostles today is a lesson of humility. Jesus does not ask of His Apostles anything else than what He has applied to Himself: “My docrine is not mine, but His that sent Me.” (Jn 7:16) And it is still a mission of humility which He asks His Apostles to carry out, when prior to ascending into Heaven He sends them to proclaim the Gospel and make disciples of all nations. Wouldn’t is have been less risky for them to affirm themselves as disciples of John the Baptist, or Elijah, or Jeremiah, or one of the prophets, rather than Christ, the Son of God? Wouldn’t it have been more reasonable to proclaim the Gospel to an assembly of chosen men, rather than run towards all the nations of the earth? God is faithful. A Word or a food adapted to the diversity of men of all nations will never fail. Whereas many ordinations take place on these days, let us entrust these priests to the protection of Mary, and beseech to obtain priests and bishops according to the Heart of God, true disciples of Christ, the Son of God.